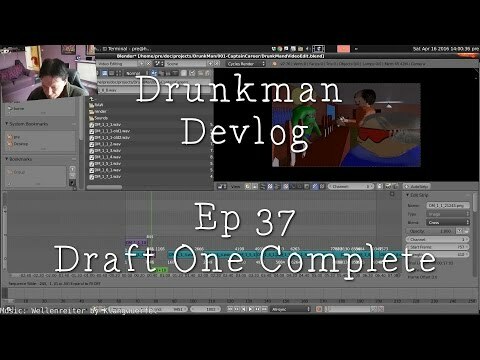 Devlog – video editing to put together all the disparate frames from disparate shots all placed more or less randomly around my project folders because I’m an idiot and consistency was apparently too much effort. The video edit is fairly short, the rendering to fix bits that weren’t rendered took a while, and watching Draft One was depressing and sad coz it’s taken like seven months to get this far and the first draft is rubbish. It’s far too long, it’s not funny, it’s not pretty, it’s filled with mistakes and bad timing and ugh. So need to figure out what’s needed to fix all that, edit the script to make it better before I hopefully get some real actors to do real lines.